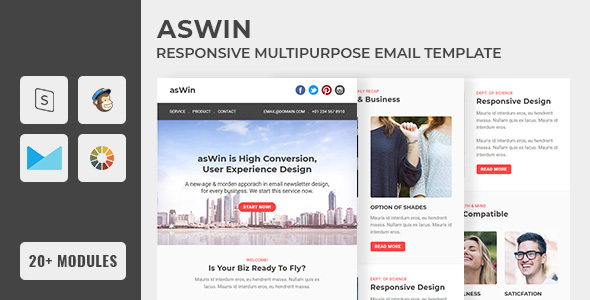 asWin multipurpose email newsletter templates for most of your campaigns. It has three builder ready and raw html files. PSD file not included. Easy to edit, feature rich better customization make you to create endless no of templates.